Happy National Handbag Day friends! October 10 has been designated National Handbag Day and is a day to celebrate all things bags. Obviously this is not a day started by or acknowledged by the government (although it should be!) but just a fun way to celebrate a well-loved accessory by many and just another reason to go shopping! In honor of this spectacular day and prior to any purchases I may make to commemorate the awesomeness of today I wanted to start with a post to share with you all some eye candy to help inspire your day! The below is a short list of beauties that I pulled together, so many many more out there. Range of sizes and price points, a few I have and a couple I have my eye on! Those who love handbags are asked to post images of your favorite bags– you don’t have to own it yet– with the hashtag– #nationalhandbagday. Would be awesome if you guys would tag chickwares as well and follow us on Instagram! Have a wonderful day and Happy Shopping! Let us know what you think– do you have any of these bags? What’s your favorite? What bag will you add to your collection on National Handbag Day?! Mark & Graham Elisabetta Handbag in Suede! Just In Time For Fall! I hope everyone had a fabulous weekend, I am in recovery mode myself and thought I would ease into the week sharing an update on a bag I featured in a blog months ago– the Elisabetta Handbag from Mark & Graham. This stylish bag is now available in Suede! 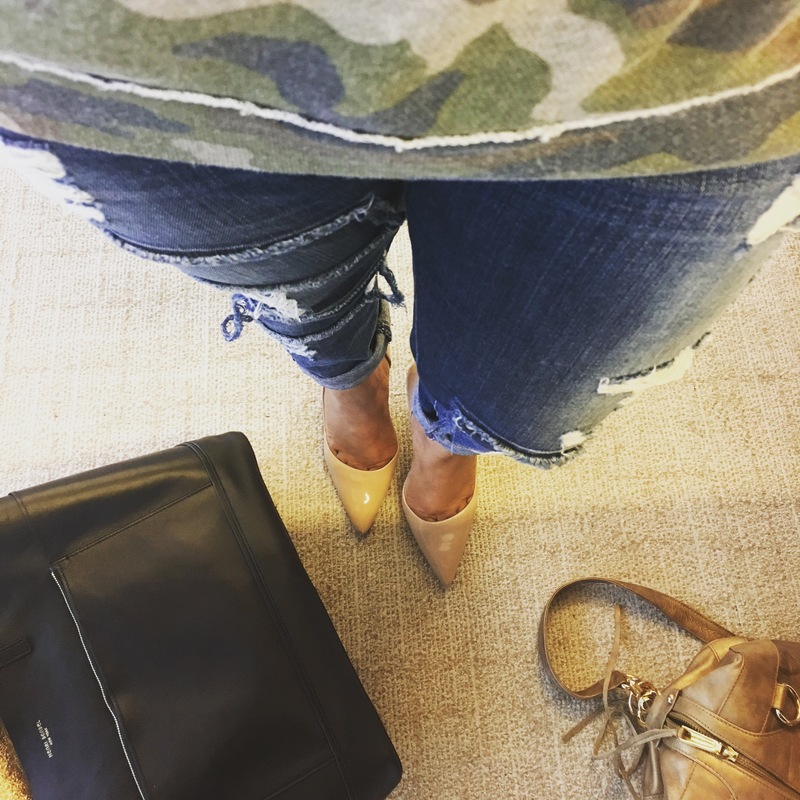 I don’t know about you guys, but I love suede, especially in the Fall! And from the looks of things this bag is equally as nice as it’s leather counterpart! The overall specs including price are the same both versions retail for $398, however, the suede version is available in only 2 colors for Fall mushroom and chestnut (LOVE!). Monogramming is available on this bag as well which makes it that much better! I’m attaching the link to my original post on the leather version of this bag so that you can review the details for yourself! What do you think of Mark & Graham’s Elisabetta Handbag for Fall? Do you own it? Let us know, we’d love to hear from you! I did not receive any incentives for this post. It’s Friday!! Nevermind that today is gloomy and rainy and a bit cool for Atlanta in May–but it’s Friday!! Woo Hoo! Can you tell I’m excited about the weekend?! I wanted to take time today to share some AWESOME deals that have been flooding my inbox. I’m including a variety or retailers and brands so that I can share a range of prices and styles because, let’s be honest, not everyone looks for designer or premium designer styles to purchase! There are some great deals to be had out there right now and just in time for Mother’s Day– don’t forget to get a little something for yourself too! Hope you get to take advantage of some of these deals! Clearance is an extra 20% off! 25% off through Tuesday 5/16 – great Mother’s Day gift options! 30% off sale; select styles – beautiful styles available! 30% off adult styles – online only! 25% off all jewelry – Friday 5/5 – Sunday 5/7 only! – You can still utilize ground shipping for delivery before Mother’s Day! Earn triple points on your purchases 5/3 – 5/7! Bath and Body Works – need some smell goods? We’ve shared 10– not in any particular order and of course there are plenty more out there available, enjoy and Happy Shopping!! As always, if you have something to say, we’d love to hear from you!